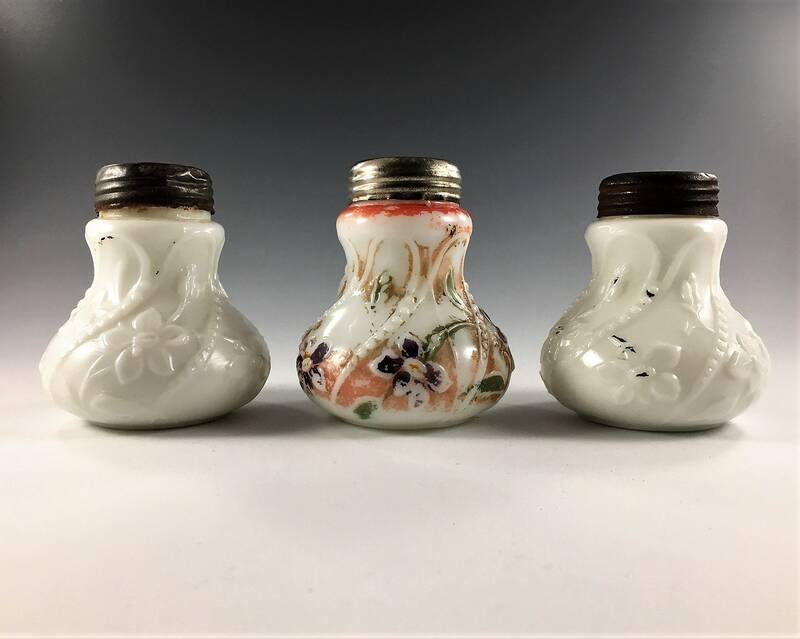 Featured is a nice collection of 3 Early American Pattern Glass (EAPG) shakers. 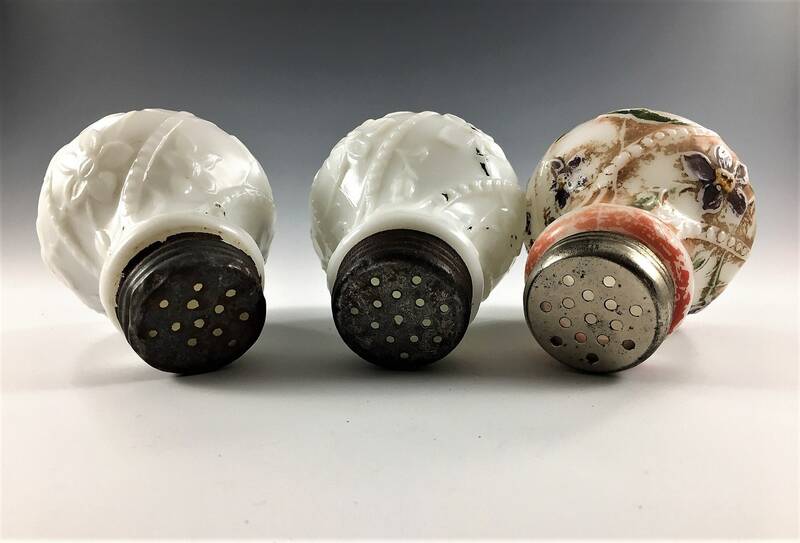 They are from an unknown maker and were likely produced in the 1880s. 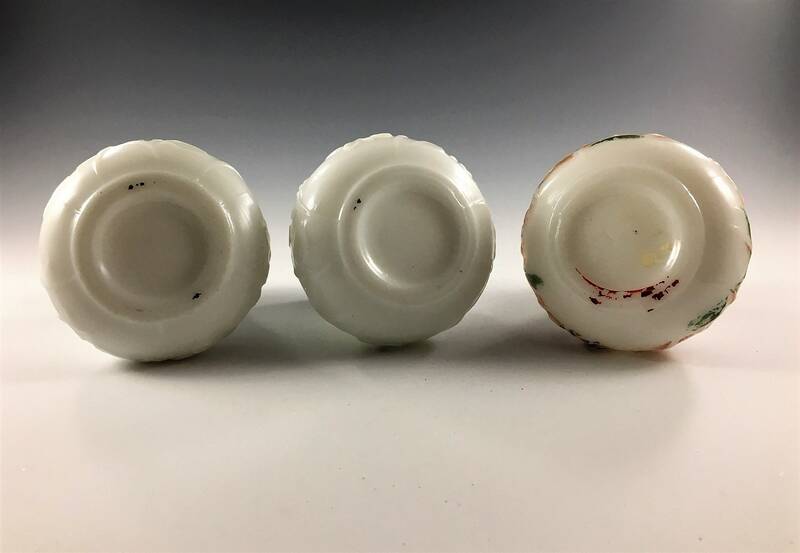 These white milk glass pieces are in an unidentified pattern with a bead and floral motif. One of the tops seems to be stuck and I have not been able to remove it. These look to have been hand painted. Almost all the paint has worn from two of the pieces. They measure about 3 inches tall and about 2 3/4 inches in diameter. 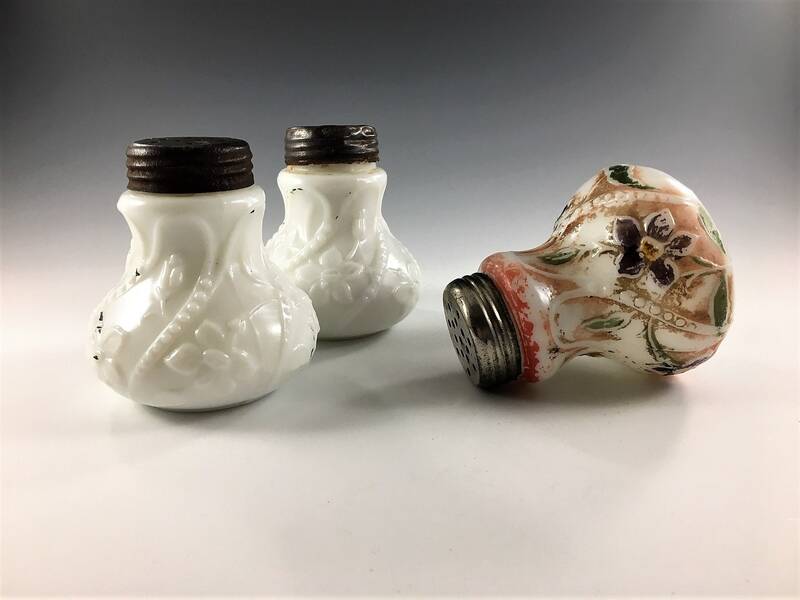 These shakers are free from chips or cracks, and are great representative pieces of Victorian Era glass. All 3 pieces being offered for one low price.